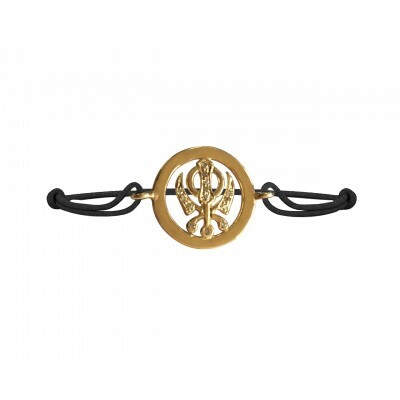 Khanda is an important symbol of Sikh religion which reveals the great teachings and ideologies of the Khalsa Crest. 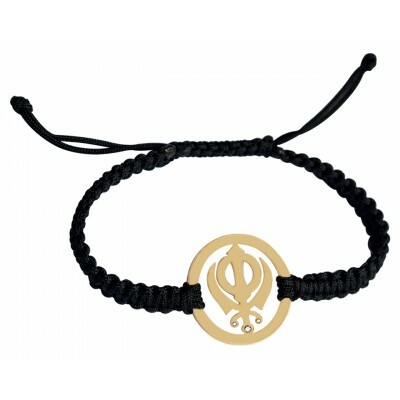 The use of this pure religious symbol in the form of jewellery depicts your great love and affection towards the Sikhism. 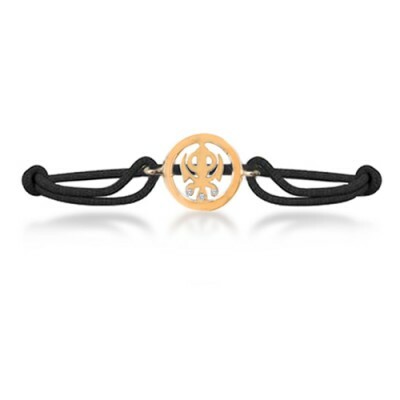 The beautiful Khanda bracelets in gold are available at Jewelslane in the precious metal with the alluring bright diamonds. 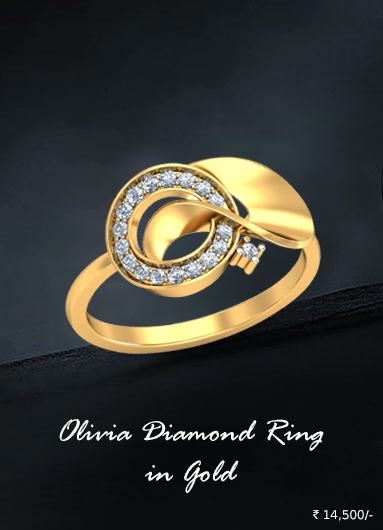 The designs are specially crafted with great efforts and skills. 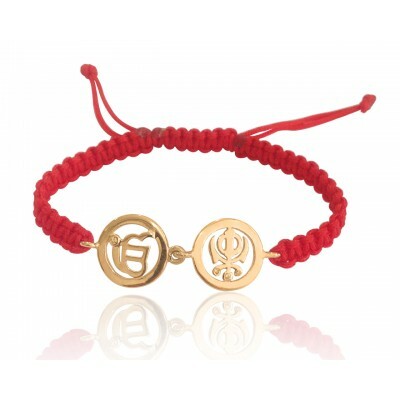 These Khanda bracelets in gold are some of the vibrant examples of a beautiful collection of religious jewellery available at Jewelslane. 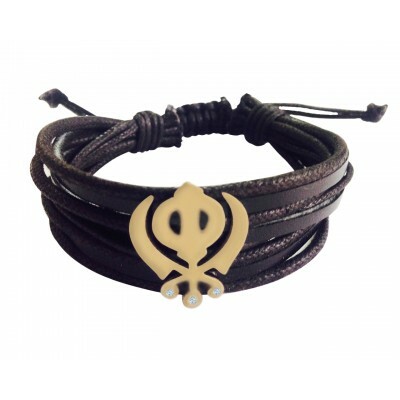 Nowadays both men and women love to adorn beautiful and stylish bracelets and match with their attire. These bracelets are unique forms of the ethereal jewellery which anyone can wear and combine with their favorite dress and occasion. 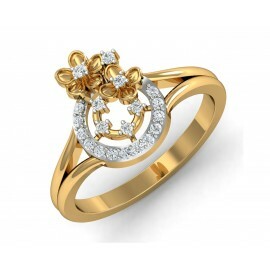 They simply add a glamorous look and feel to the personality and made it glorified. They are made for men and women both so there are no restrictions on the buyers. There are some relevant hidden messages and sacred stories that are related to the Sikh religion. 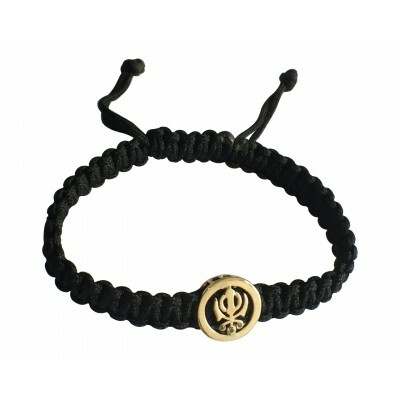 When you will wear these bracelets you will definitely feel more attached towards the divine philosophies of Sikhism. These spiritual ornaments provide great help and support when your are feeling depressed and little low. It elicit the positive thoughts and make you feel the real goodness of every little thing in the world. The Chakkar in the center and the double edged sword all have the magnificent meanings that signify the truth, justice and freedom. 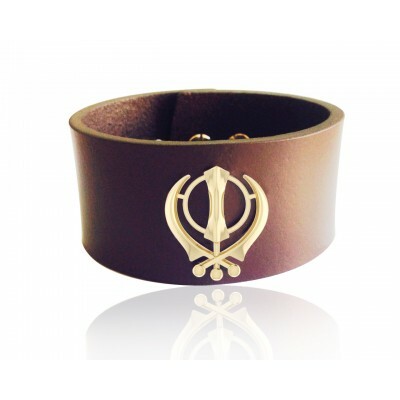 They are best for the purpose of gift to your Sikh friends and make them happy. 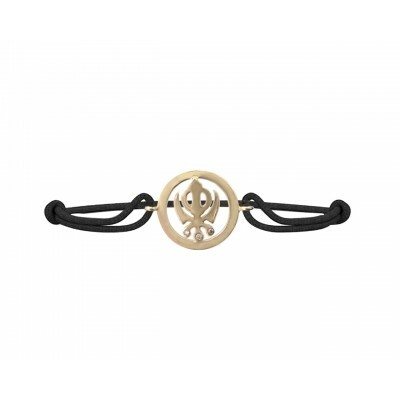 These religious Khanda bracelets in gold are fashionable and symbolic both at the same time. Be a proud holder of these precious bracelets today.